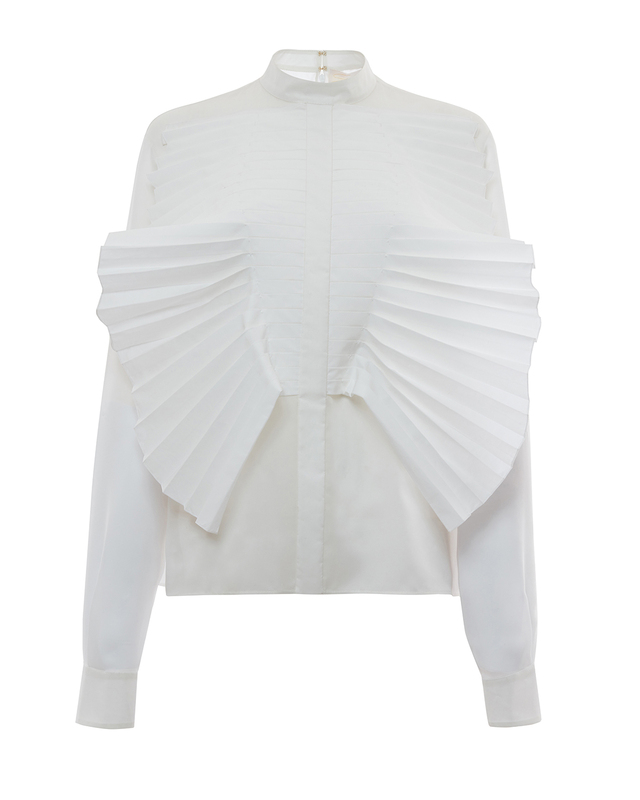 With a simple yet elaborate style the long sleeved satin blouse gives a touch of sophistication to your outfit, perfect for any occasion: from work to evening events. 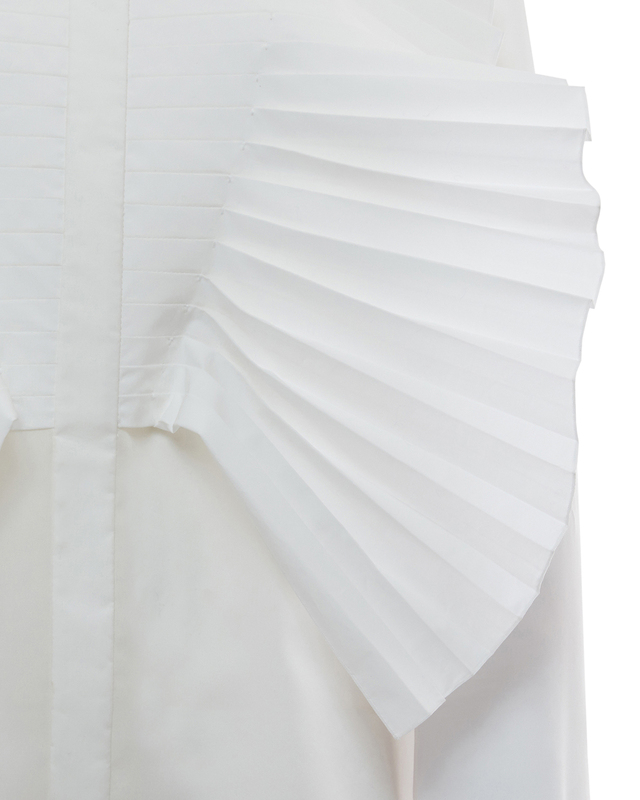 The pleating on the neckline enhances and emphasizes the class of the soft satin blouse. 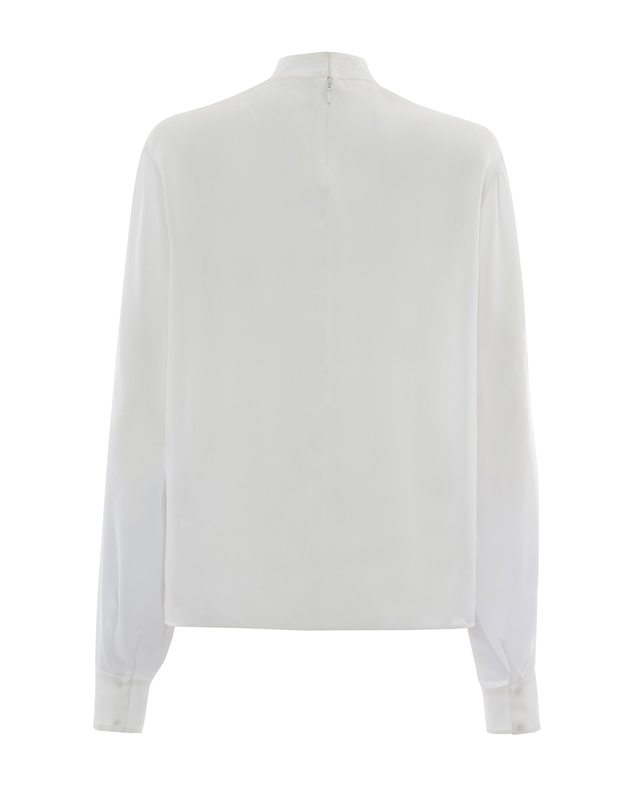 The immaculate shade of white gives the blouse a shiny effect that allows it to be easily paired with slim solid black trousers and high heeled pumps.